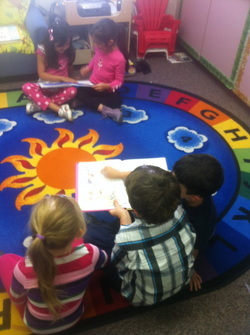 Class Management - Miss Allaire's 1st Grade! 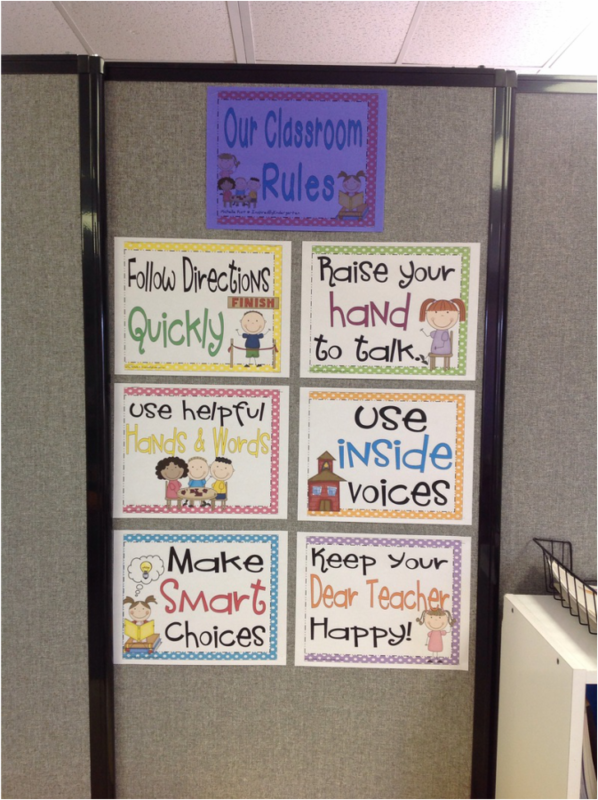 Here you can see some of our classroom management activities! The ABS'c of Kinder-in case you didn't get a copy at Back to School night! 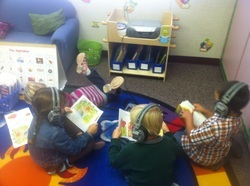 Students may choose to go to the listening station as part of our weekly centers. There are stories read by wonderful character voices, as well as some read by their very own teacher, Miss Allaire! All student read quietly each day for about 10 minutes. We work up to more time later on in the year! So we both can see! 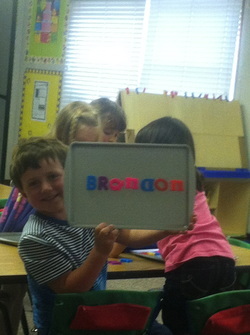 Brandon showed us how he can spell his name, and the names of his new friends, using magnets during center time!